Majesty was the theme of the evening. Sir Edward Elgar wrote at the height of the British Empire, John Williams is best known for the majesty of his film scores, and Gustav Holst’s dive into space is certainly a majestic journey. This was also an evening of particular textures. A quartet was embedded in the Elgar Suite. The tuba was brought forward as a solo instrument, and Alan Baer showed us how much a foreground place it can take. Holst had us spinning in the spheres and makes us think of a rocket landing on Space X Droneship OCISLY today. Singling out performers in the orchestra by programming pieces in which different instruments are featured has helped members of the orchestra to feel like appreciated members of the whole. In the Elgar, Sheryl Staples and Lisa Kim on violin, Cynthia Phelps on viola and cellist Carter Brey were featured in quartet portions. 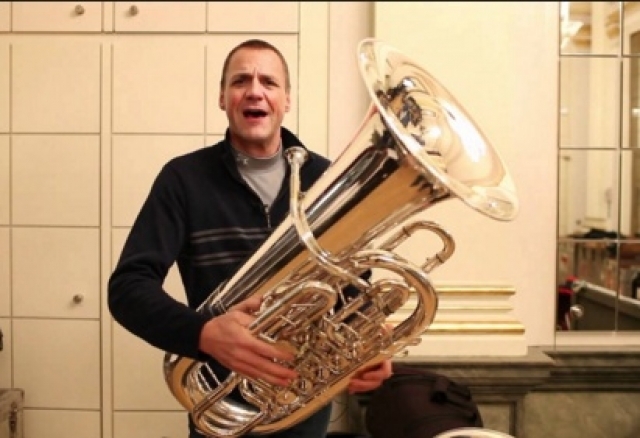 Alan Baer, the principal tuba, made his solo debut and whet the appetite for more. Ralph Vaughn Williams, composed a Concerto for Tuba. Elgar had been encouraged to write a “bring down the house torrent of a thing,” and he did. He divided the strings into two parts. A ‘devil’ of a fugue in G Major and Minor, rich counterpoint and even jokes abound. 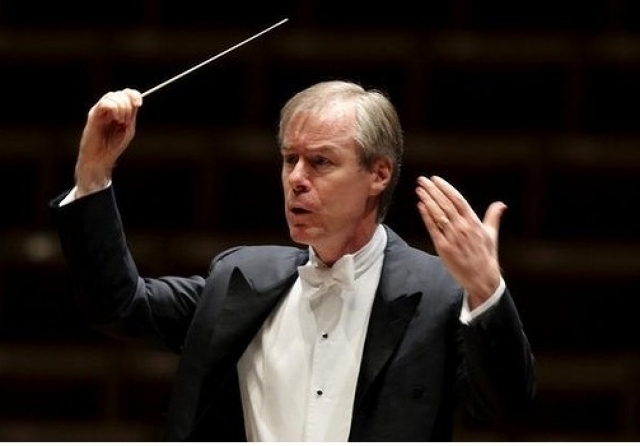 Conductor Robertson has a lovely combination of detailed direction and exuberant encouragement of shapes and dynamics. It is nice to see a conductor in tails, which added to the evening’s majesty. The tuba is a funny instrument. When it growls in its deepest base it is like toned grunts instead of music notes, so you have the overall effect of sprechstimme, a combination of speaking and singing. Jabba the Hutt is characterized by a tuba in Williams’ score for Return of the Jedi. Williams had been preceded by Serge Prokovief who wrote the score for Alexander Feinzimmer’s Lieutenant Kije in which the tuba Oom Pahs. Jacquies Ibert's score for Orson Wells’ Hamlet has a six minute tuba solo. In Williams' Concerto, the NY Phil's principal tubist Baer ventured into rollicking phrases and ripping notes which you don’t use associate with the tuba. Is it the elephant of instruments, huge, and yes, majestic? Elgar may suggest the blind march forward to the First World War, as societies changed and people could not figure out what was happening. 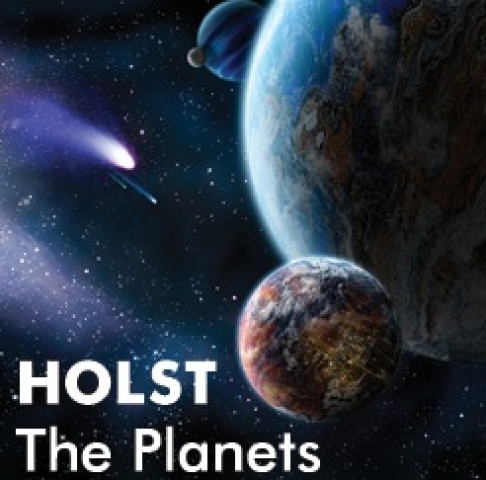 Holst, composing during that War, escaped to space while he worked in a YMCA educational program for the troops in Greece and Turkey. Delicious textures in The Planets include doubling piccolos and bass oboes, bass drum, snare drum and triangle mixed in extra-terrestial bliss. The Women of the Oratorio Society of New York mysteriously entered the final Neptune section, singing from somewhere in space off-stage. Amateur astronomers with telescopes were dotted over the Plaza outside Geffen Hall. I took a look at Jupiter and its moons through one of them. It was almost as thrilling as the concert. Having just returned from New Orleans where music of all sorts fills every nook and cranny, the programs of the NYPhil and Carnegie Hall that spill out all over the city, offering different genres and styles, help us head in that direction. How can a city filled with music fail?